At SC17 Gigabyte and Ingrasys (a Foxconn subsidiary) announced that they are now shipping Cavium ThunderX2 systems. We know we are going to see many Cavium ThunderX2 systems on the show floor. Cavium is showing off single and dual socket servers at the Bull/Atos, Cray, Gigabyte, HPE and Penguin booths along with the Cavium Booth. 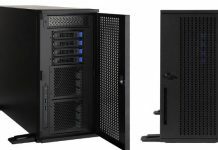 HPE will have a full rack of servers on-site. Last week we showed Cavium ThunderX2 and OCP Platform Details for the scale-out shops. Today we have the HPC focused announcement. Gigabyte is a strong Cavium partner. We reviewed a 1U 1P system and a 2U 2P system from them in the original ThunderX generation. Over the past few quarters, Gigabyte launched over a dozen and a half server models based on the original ThunderX platform. 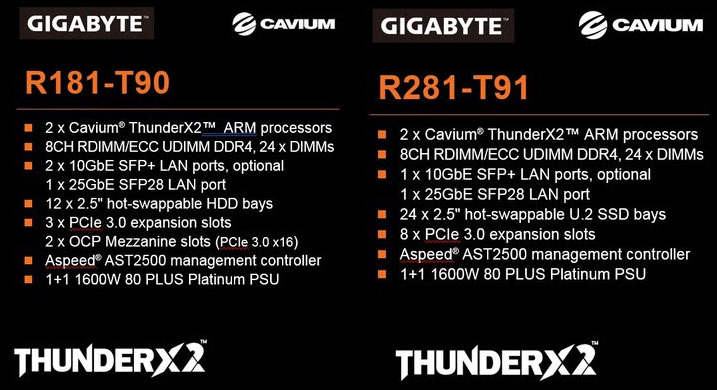 With the ThunderX2 launch Gigabyte has two servers being highlighted the 1U Gigabyte R181-T90 and the 2U Gigabyte R281-T91. The Gigabyte R181-T90 series is a 1U platform with dual-socket ThunderX2 compute node. 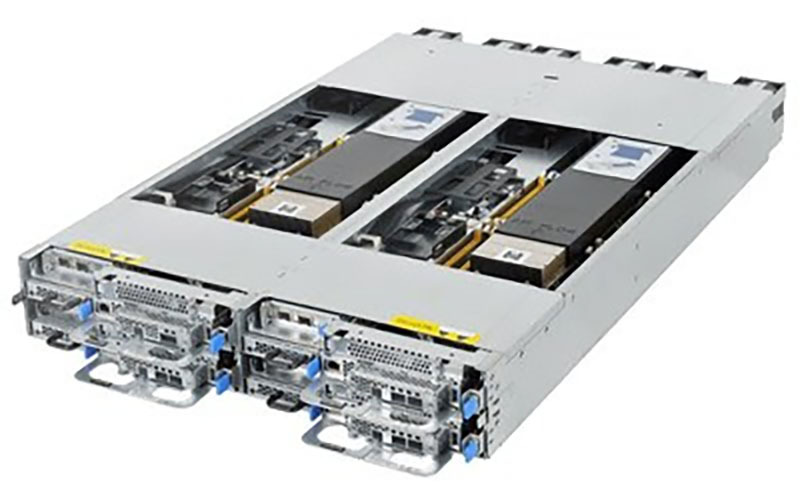 The chassis has 3x PCIe expansion slots as well as two OCP mezzanine slots and can support up to 12x SAS3 12Gb/s SSD. In a 2U form factor, the Gigabyte R281-T1 allows for greater expansion. There are 8x PCIe 3.0 expansion slots and 24x 2.5″ U.2 SSD drive bays. Both servers feature redundant PSUs, dual CPUs and 24x DIMM slots. Ingrasys Osmium is a 2U 4 node platform that can handle up to 1TB per node along with 2 CPUs per node. These are also designed for expansion with OCP mezzanine slots as well as PCIe 3.0 x16 slots. At SC17 we expect to see considerably more Cavium ThunderX2 than we saw of ThunderX (1) last year. From what we have seen thus far, the ThunderX2 uses a vastly improved 64-bit ARM core that has impressive performance. Beyond core performance, the ThunderX2 platform supports more I/O expansion than the previous generation part. I hope you will have also a chance to benchmark ThunderX2. It would be especially interesting to compare that with original X although the comparison will probably be a bit of apples to oranges due to more mature armv8 software stack. Pity there is no single-CPU configuration of X2 available yet (or even announced).